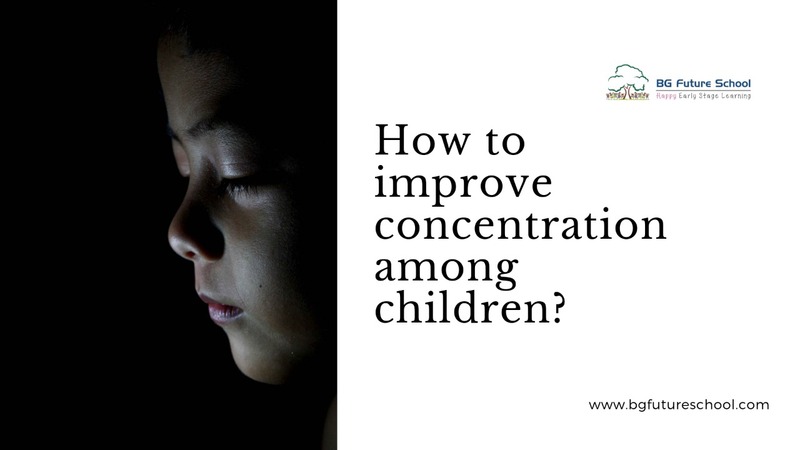 How to improve concentration among children? they do not practice the art of concentration. As parents its our duty to teach this art to our children. Ask these questions to yourself. Yes , these questions give us deep insights on how good we are at concentration. that’s when you start to teach your children concentration. need to be done within twenty minutes. Like any other skill , concentration can be improved by regular practice.As parents lets build this skill and show the young ones to lead a highly focussed life. What's the ideal Child to Educator ratio for Preschoolers? Young Parents invariably ask this question as they want to be 100% certain that the child recieves proper care and attention during formative years. If the staff members are streched it will be not possible to give neccesary focus on the child who is ever curious to learn and exploring every object around it. An Ideal preschool should maintain a healthy educator - child ratio of 1:10 , this ensures that the educator notices every learning milestone and supports it with tools to make the child a "happy" learner. Preschool learning environment involves many group activities like story narration , group sports& yoga and sing along sessions, the effectiveness of the these sessions depends on this ideal ratio. Large formal schools have 30 are more children in a class, this may severely impact the learning process and parents should be cautios before selecting a school with abnormal educator- child ratio. We all know , Preschool years are a wonderful time to build new frameworks, or new ways of viewing and interpreting the world, through new experiences. Every time your child touches something new, tastes something unexpected, feels a new texture, or visits a new place develops a framework, these responses are recorded by the educator( possible only in an ideal ratio) giving parents like you a measure on child's learning progress on daily basis . If the preschool doesn’t staff enough educators/care givers to meet these recommendations, you should continue to interview and research other facilities near your home or job that would be better prepared to care for your child and provide them the necessary attention to foster growth and ensure safety and comfort. Show your child that you have confidence in yourself and are at peace with your abilities (You have to pretend some times). If you sit down and draw beside her, don’t say, “I can’t draw.” Your drawing need not be realistic but pretend as though you are getting it right. You can draw cartoons by seeing from an art book in bright colors. Or just try drawing as you did when you were in school or college. Draw squares, circles, spirals, flowers, letters, and whatever else you think is possible. Enjoy the process. Keep your crayons and sketch pens moving in front of your child? But don’t utter the words, “I can’t draw” in front of your child. Children learn by example. Don’t just say, “That’s pretty.” Talk about the scribbles she is making on the page or the colors she is using: “encourage her by saying ...Wow! You really worked hard to make that art. Engage in a conversation and ask about the artwork. If your child is a young three, she might not be expressive enough. As she nears four, she will likely become more elaborate with the stories that go with her art. Keep your child’s art activities as process-oriented as possible at this age. Introduce new materials and techniques, but also stand back and let her explore art on her own, in her own way. Try giving her freedom to explore during drawing time that you set up for her. And also try to have some art materials accessible to use any time she likes. This could be an art box with markers, crayons, scissors and tape near the kitchen table. It could also be her own dedicated art space /corner with art supplies. 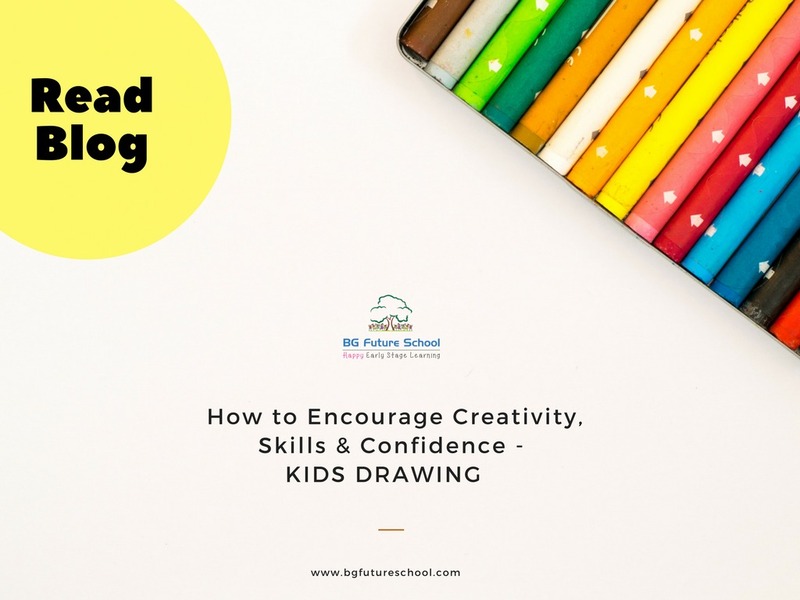 Instead, you can guide her through the occasional observational drawing exercise and preferably in a way that encourages observing as much as drawing. Or try this still life drawing exercise with fruit from your kitchen. The most important thing at this age is to encourage open-ended exploration of art materials, self-confidence, and enjoyment in art and learning. Their emphasis on adult-drawn images and coloring inside the lines is not helpful to a young child’s creativity. What your child will learn in preschool? Your child's early years at school are filled with many wonderful moments. It's a time of tremendous social, emotional, physical, and intellectual development, and it can come and go before you even realise it. The skills learned at this stage ( like colours and numbers) -- may seem simple but they will set your child to become life long learner. Pre school may look like all fun and games (music, storytime, dancing, art) but there's an intense amount of brain development going on. Young children learn through play and creative activity, so your preschooler's activity blocks aren't just entertaining; they're teaching problem solving and team work. Preschool is also a time for developing good learning habits and positive self-esteem. If they feel good about themselves and know how to feel proud even if they make a mistake, everything else falls in place. A right preschool Cheers your child's successes at this stage but also allows her to learn by exploration. This type of learning helps children to fall down and make mistakes and feel confident about it. They move on and learn from it for the next time. This is an important learning milestone children will typically achieve in preschool. 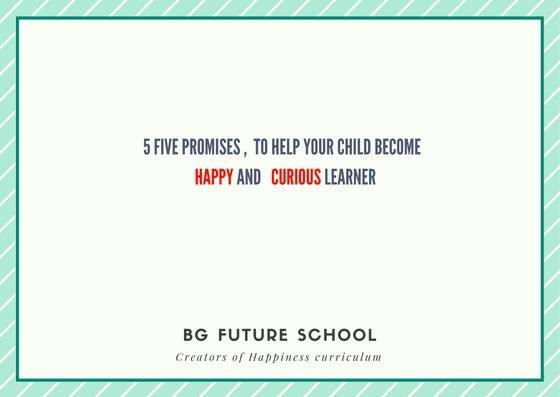 BG Future School - Creators of Happiness Curriculum. Many kids who attend preschool start talking at very early. Many new parents ask us if it is better for babies to talk early or not? Is it something they are born with? Firstly, we personally do not think this is hard-wired. There is no timer in the brain of a baby that says, now you are 1 years old, you should start saying words. It is very much dependent on the stimulation the baby gets from their environment. Positive human stimulation shapes the talking capability of the child. 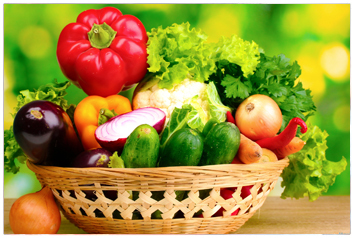 Is your child a vegetable lover!!!! We all know Vegetables are good for our health, but they are not very popular among preschoolers. 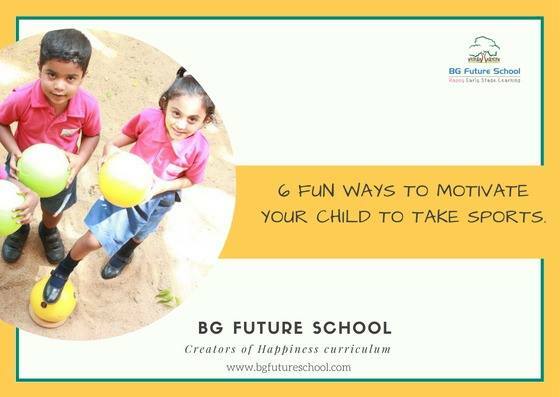 We at BG future school presume that the advertising departments of junk, sugary and chocolaty food companies do much better than the advertising departments of vegetable companies. It is very simple. If we had the same publicity for vegetables that we do for junk food, it would be easy to get kids to eat vegetables and they would do it happily. Even more than advertising, the best way to get kids to eat vegetables is to love eating vegetables yourself and to buy lots of them for your home. If this is what kids have on hand, this is what they will eat. Obviously, this is not as easy to do as we might think. Otherwise, everyone would do it and every kid in the world would eat vegetables at every meal. Focus on the best you can do with what you've been given. "What is on the top (your boss), you cannot control," "Make the best of what is by your side (peers) and below you (subordinates)." Be professional about the job you've been assigned and do it well. Make wise financial choices: Most measurements of happiness show a slight U-shape, or dip, in happiness levels in the age group of 35 to 40 to 50, . 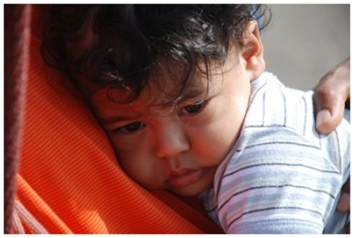 "In the midlife, there is a lot of pressure -- of young children, parents and debt. You feel squeezed from both the top and the bottom." Making it worse is the feeling of being left behind in life as compared to your more successful peers. The solution lies partly in making adjustments to improve the situation and partly in making sensible financial choices so that you don't have to compromise on too many things to pay your debts back. Seek feedback and communicate. Knowing how you are doing will either make you feel good about yourself or help you set a goal to improve. Ask yourself where you want to focus your energies: on what's going well about work or on what's wrong with it? Strike a work-life balance. A lot of people are giving too much time and energy to work at the cost of other things in life, like spending quality time with family and friends or pursuing their interests. If you routinely do this, you are bound to start resenting your work. Learn to manage your time. Do not stretch a task so that it eats into things you want to or enjoy doing. Do not participate in gossip and stay clear of negative people. Practise positivity. It's powerful. Smile. It helps uplift yours and others mood. 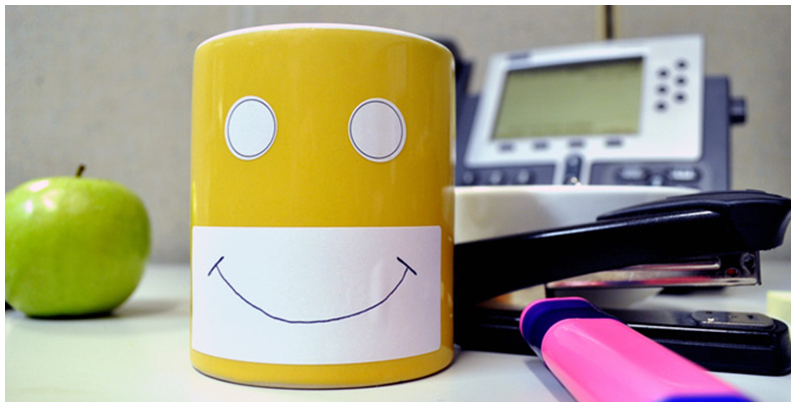 "Small things, as small as a smile from the manager, can go a long way in making an employee happy,"
Be positive, resilient and disciplined, Strive to improve performance and take ownership of the job. 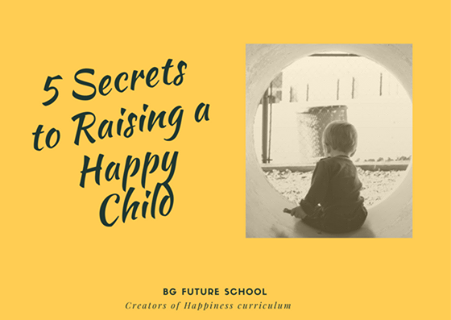 Happy Parenting BG Future School - Creators of Happiness Curriculum. The surest way to promote your child's lifelong emotional well-being is to help him feel connected -- to you, other family members, friends, neighbors, daycare providers, even to pets. "A connected childhood is the key to happiness". While we can't control our children's happiness, we are 7responsible for our own. And because children absorb everything from us, our moods matter. Happy parents are likely to have happy kids, while children of depressed parents suffer twice the average rate of depression. 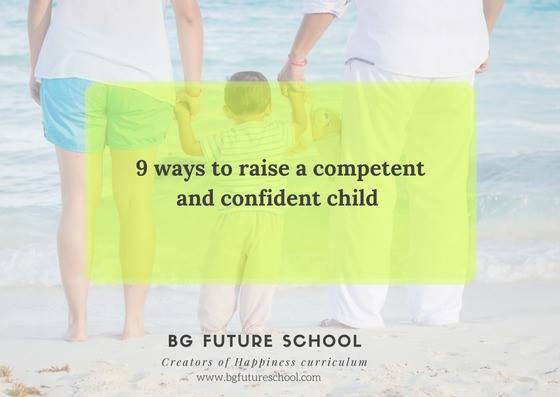 If you really want to bolster your child's self-esteem, focus less on compliments and more on providing her with ample opportunities to learn new skills. Few skills are perfected on a first try. It's through practice that children achieve mastery. And through repeated experiences of mastery, they develop the can-do attitude that lets them approach future challenges with the zest and optimism that are central to a happy life. one way to foster gratitude in children is to ask that each member of the family take time daily -- before or during a meal, for example -- to name aloud something he or she is thankful for. The important thing is to make it a regular ritual. "This is one habit that will foster all kinds of positive emotions and bring lasting happiness." 6 fun ways to motivate your child to take sports. Kids these days prefer to spend time with gadgets/tv instead on involving themselves in physical sports and team activities. its imperative to motivate little ones to take up sports for their mental and physical well being. Let them to pick. Allow your child choose a sport he enjoys the most . It’s easier for children to be motivated when they enjoy the activity. Watch others play. Take your child to see others play the sport. Take children to a stadium and college games, if you can, but more importantly, take them to sporting events involving their peers and the levels just above them. Let the child see people having fun as they play. Play with your child. Not just to teach skills but to just have fun. You don’t always have to be coaching . Sometimes, it’s better to crack few jokes with them and let them experience the fun of sports with you. Praise efforts, not results.Tell your child not focus too much on scoring and winning.It might take toll on his confidence.Praise him for the effort and the preparation to be good sportsperson. Mix it up. Choose a new sport and learn it together with your child.Expose him to new sport more often. Finally buy them visual books on famous sports personality like messi , Sachin and Roger fedrer.Let them read rather watching them play. Children’s brains will reach 80 percent of their adult size by their third birthday. Four words describe the most important activities for parents to consistently engage in with children: Touch, Talk, Read, Play. 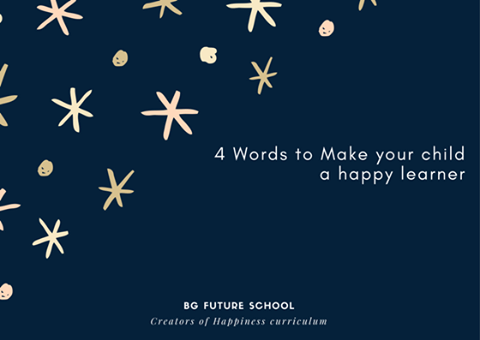 How do these four, easy-to-remember words impact social and emotional development? Touch allows your baby to feel safe and loved and instills trust between the two of you. Talk encourages language development, communication skills and voice recognition. Your little one learns the structure of a conversation when you give her a chance to respond back with coos, gestures, or facial expressions. Read aids in language development and the reading and writing that will blossom as your baby grows. Story time is a great bonding opportunity for the two of you. 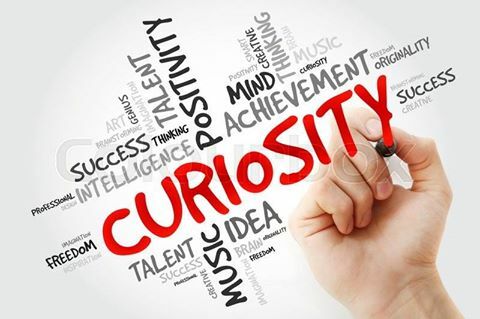 How can we develop curiosity among our children? When we around kids, do we ask them questions .Questions which can make them wonder and help them think critically. Parents like to tell kids things. In fact, they ask a child a question, and a nearby adult will answer for/to the child. It's better to ask kids questions about everything -- even when the original question came from them. Where do you think we should start? What's the first part of the elephant we should draw? Then what? Want to try it? We can always try again if we mess up." Parent: "Uh oh! It looks like we did something wrong. Does any part of the elephant look wrong? How can we fix it? What should we do differently next time?" Parent: "Great work! You put a lot of thought into your drawing, and it shows! But I wonder if that's the only way to draw a elephant. What do you think? Is that the only way? Or might there be other ways?" This gets them thinking -- and teaches them to test, iterate, and try again. It shows them that many problems have more than one solution. And, just as important, it teaches them to persevere when things don't go right the first time. It teaches them that it's okay to take a risk, and that it sometimes takes a few tries to get it right. As we come close to an eventful vacation and look forward to a new year of learning. 4) I will encourage them to think out of the box and not to use conventional way of learning. From the day your baby is born you can start raising a reader. Young babies respond to the soothing rhythm of a voice reading aloud, as well as to being cuddled on a warm lap.make reading to your child part of your daily routine, he’will look grow up looking forward to it. 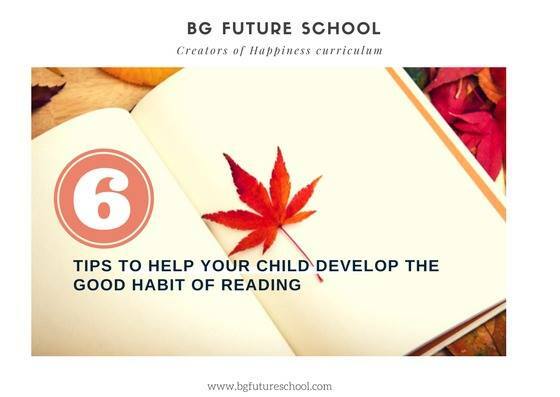 Whether you love books, magazines or blogs, let your child see you reading. Kids learn from what they observe.If he sees that you’re excited about reading, your child is likely to catch your enthusiasm, too. Build reading corner with intersting books Pick out a comfortable spot wtih good lighting , let the coziness encourage the child to read. 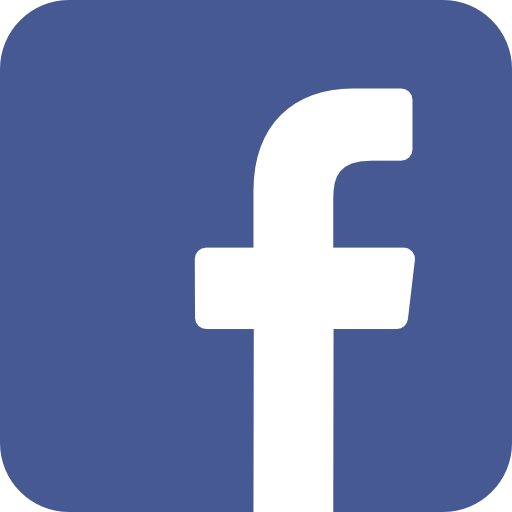 These are great place to explore books and authors for free. Many libraries also have story hours or other literacy programs for kids. These give your child a chance to develop good reading habits and to see other kids doing the same thing. Find reading moments in everyday life. Learn more about how kids read. You may not be a teacher, but you are your child’s first teacher. Knowing a little bit about what reading skills to expect at different ages can be helpful. You’ll be able to support your child’s reading with suitable books. It will also help you know if he’s not on track. As parents our natural desire is to protect our children and make sure that everything goes well for them .some times this practice can make us over-protective. Here are few ways to hit that sweet spot of appropriate support and protection on the one hand, and enough independence to foster confidence and competence on the other. 1.Stop controlling and start coaching. 2.Remember that perfection is not the goal. 3.Let the child try to do tasks himself from very early age. 5. Encourage, Encourage, Encourage. And teach self-encouragement. 6.Instead of evaluating, describe and empathize. 7.Focus on effort, not results. 9.Affirm your child’s ability to impact the world. Having touched the lives of more than 1000 early stage learners , we are dedicated to remain focussed on nurturing the ‘unique potential’ in every child. © 2017 BG Futrue School. All rights reserved | Developed & Maintained by Intelligent Geeks.